There’s no denying us crafters are always on the hunt for the next best tip or trick to be the best crafter there is! I mean sure, in my book, finished is way better than perfect, but if you tell me there’s a tool to make things look even better and it’s easy - I am ALL ears! 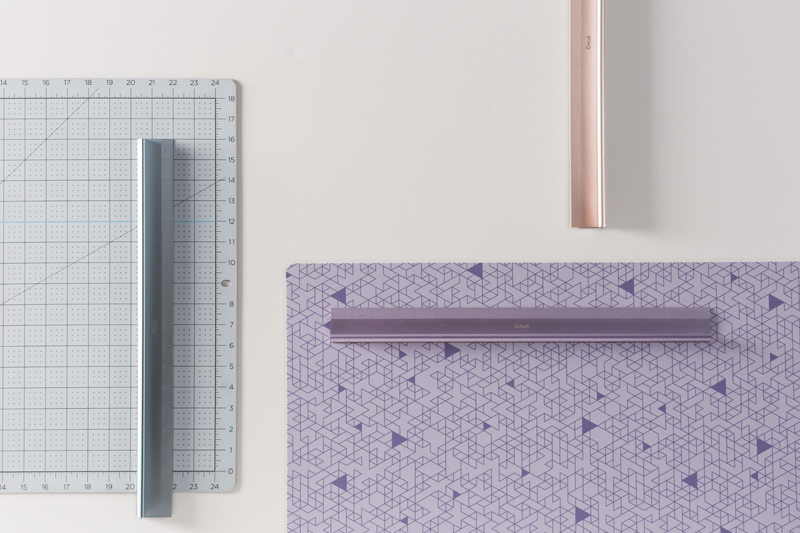 Well, as you may know, we introduced the Precision Tool Collection to the Cricut shop earlier this year, and I can’t wait to tell you about them. Let’s start with a good workspace. Our Self-Healing Mats are DREAMY! They come in drool-worthy patterns to spruce up your space or a more industrial feel with our traditional look. 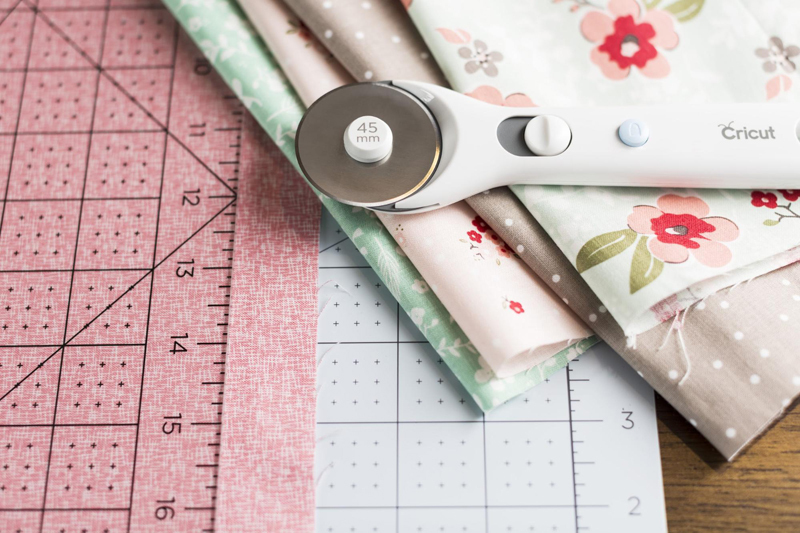 These are a great workspace for when you are working on your paper crafting or working with fabric and need your rotary cutter to do some serious work! Now, I know you noticed the rulers above and thought what is that beautiful accessory that I need? Well that my friends is our 18” Cutting Ruler. They make fast, clean cuts with a protective safety guard and easy-to-read measurements. I must say my favorite thing I did was make the cleanest cut you ever did see with freezer paper when working on a stencil project, thanks to the stainless steel straightedge and the non-slip gripping bottom!! Now if fabric is more your fancy, you are going to love our acrylic rulers. They come in every size you could ever need to fit exactly what project you are working on. There’s even a 12x24 ruler so that you can cut your fabric down to fit your mat to perfection! What I love about them is that they have easy-to-see measurements for visibility with both light and dark fabrics. They also have measurement markings in ⅛” increments and angled lines at 30, 45, and 60 degrees. Uhmm...hello precision! Get a look at these rulers down below. TrueControl Knives - Think your regular hobby knife, but more sturdy, easy to change the blade, and c’mon it’s even cute enough to complement your other craft tools! With its razor-sharp edge, piercing tip, and superior blade lock system, Cricut® TrueControl™ Knife gives you better control and beautiful results every time. Experience amazing precision and accuracy when working on a wide variety of materials, including paper, cardstock, thin plastics, canvas, and more. You’ll never have to touch a blade with our patented hands-free blade changing system. Thanks to the thoughtful anti-roll design, you can rest assured the knife will stay put when not in use. I am so excited for everyone to get their hands on these products because they really do up your crafting game! You can shop all the products in some amazing pastel colors here. Tell us what new tool you are most excited to try out! Don’t forget - share this post with your friends to let them in on the crafting goodness!